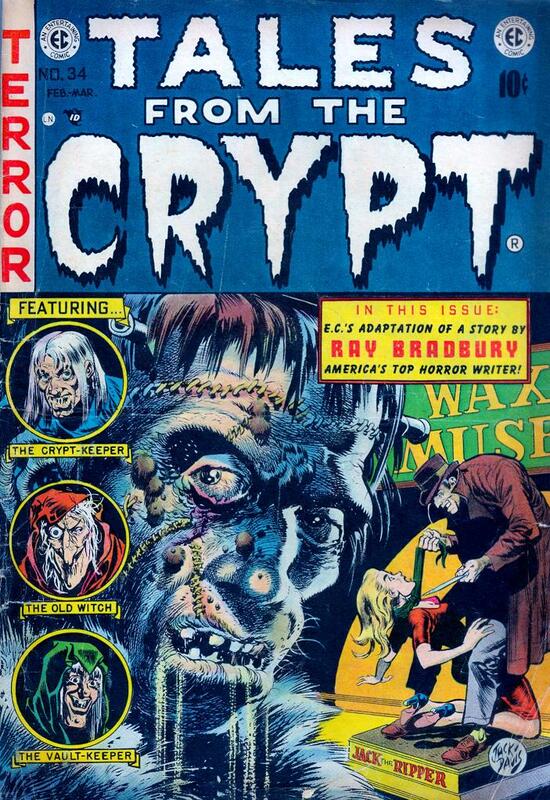 EC Comics & Ray Bradbury: The October Game! 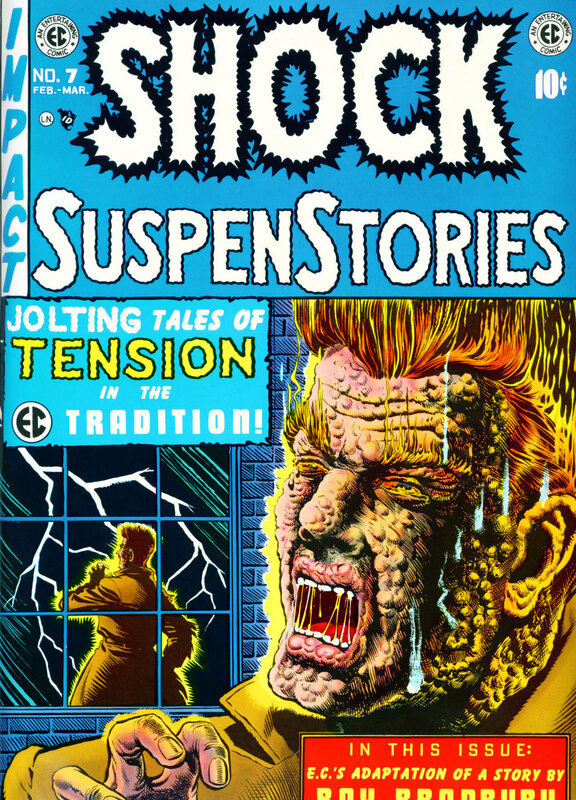 EC Comics featured many stories by Ray Bradbury, and we’d like to share them with you. 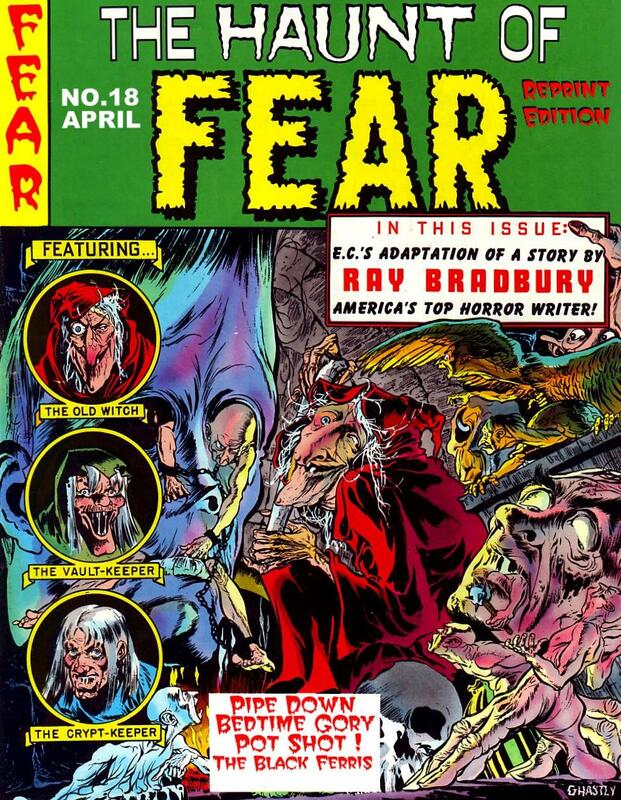 Below the story featured in today’s gallery, you will find a list of Ray Bradbury stories and the EC Comics issues where they appeared. We believe we’ve compiled a definitive guide. If you have additions or corrections, we would love to hear from you. 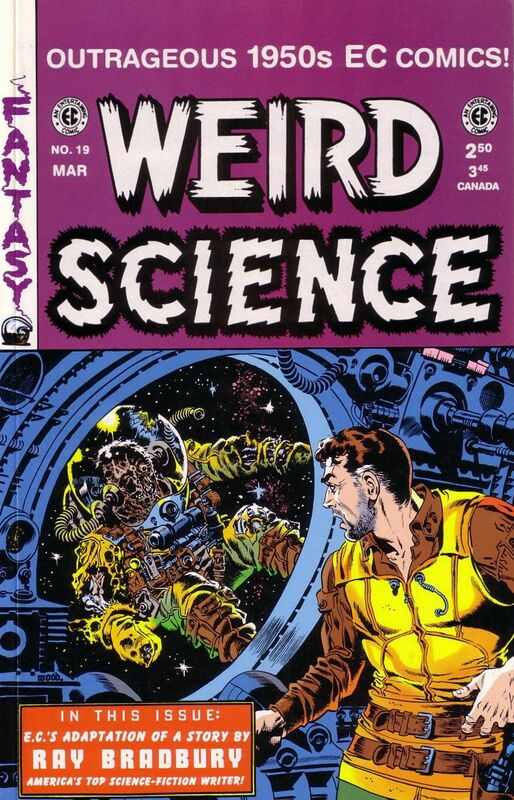 EC Comics & Ray Bradbury: The Black Ferris! 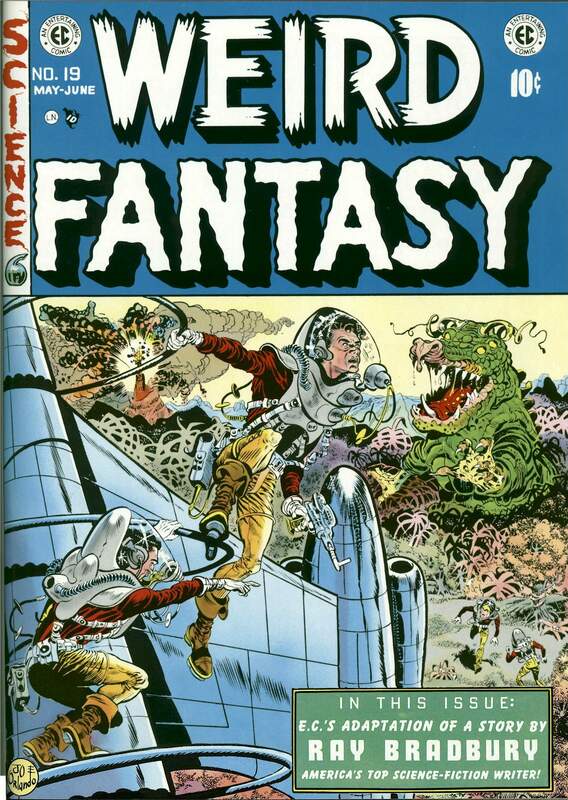 EC Comics & Ray Bradbury: The Small Assassin! 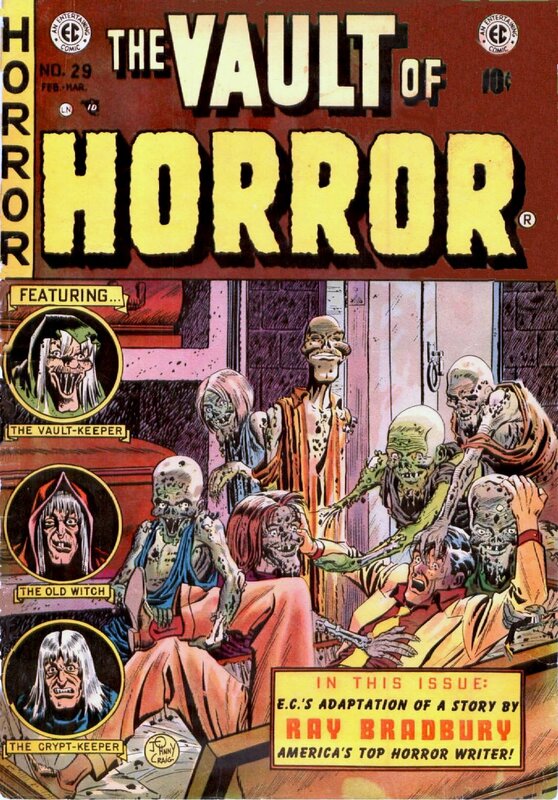 EC Comics & Ray Bradbury: There Was an Old Woman! EC Comics & Ray Bradbury: The Handler! 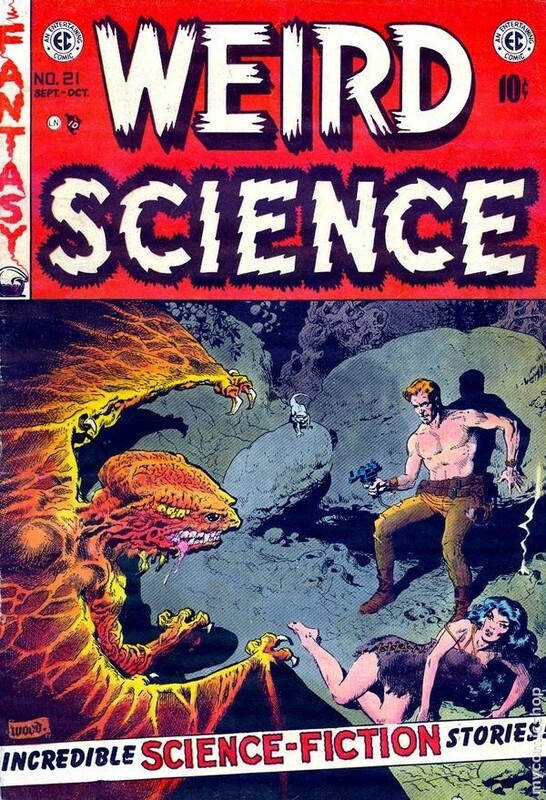 EC Comics & Ray Bradbury: Let’s Play Poison! EC Comics & Ray Bradbury: Surprise Package! 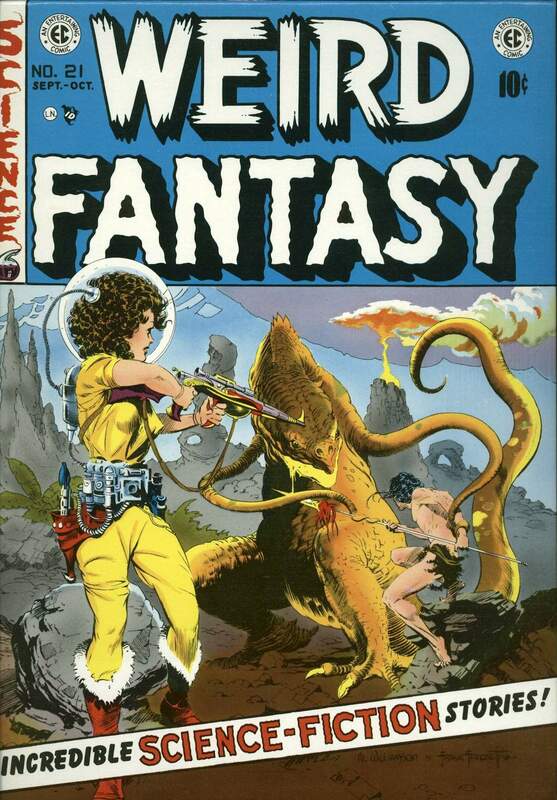 EC Comics & Ray Bradbury: Punishment Without Crime! 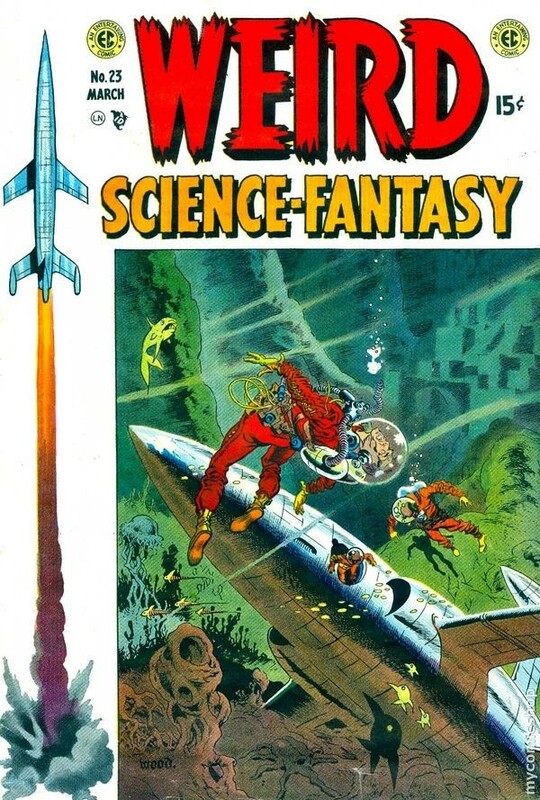 EC Comics & Ray Bradbury: The Flying Machine! 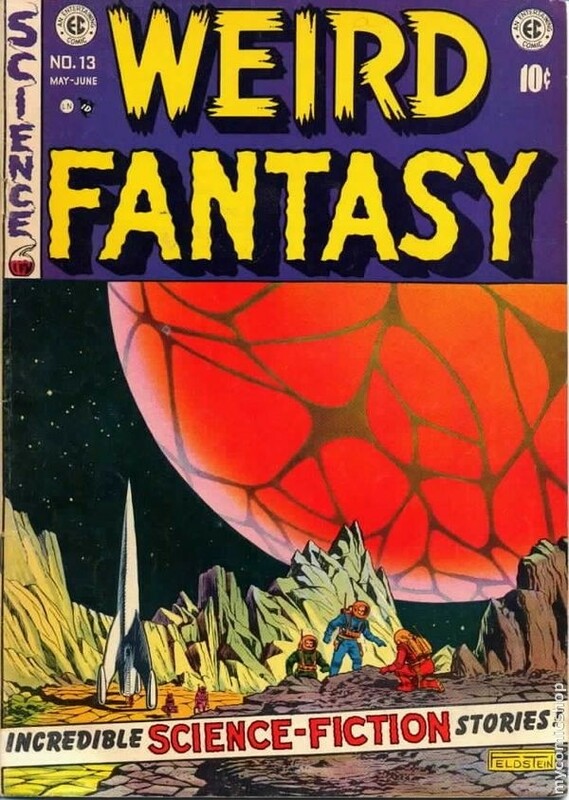 EC Comics & Ray Bradbury: Home to Stay! 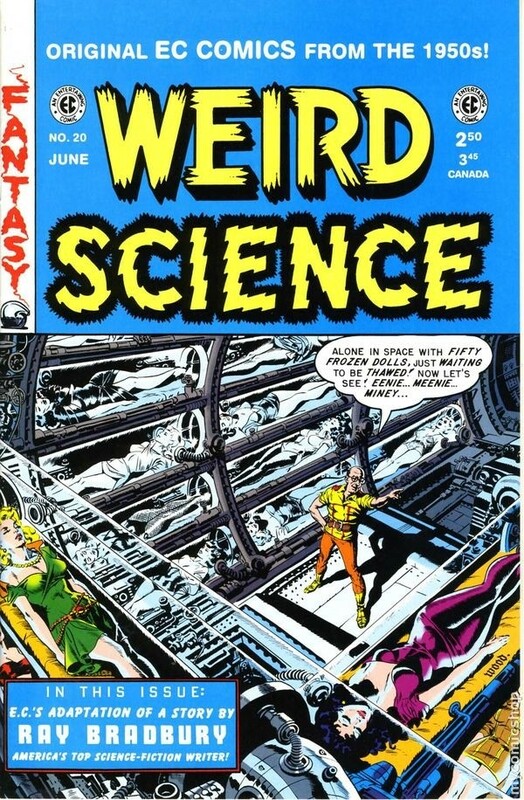 EC Comics & Ray Bradbury: King of the Grey Spaces! 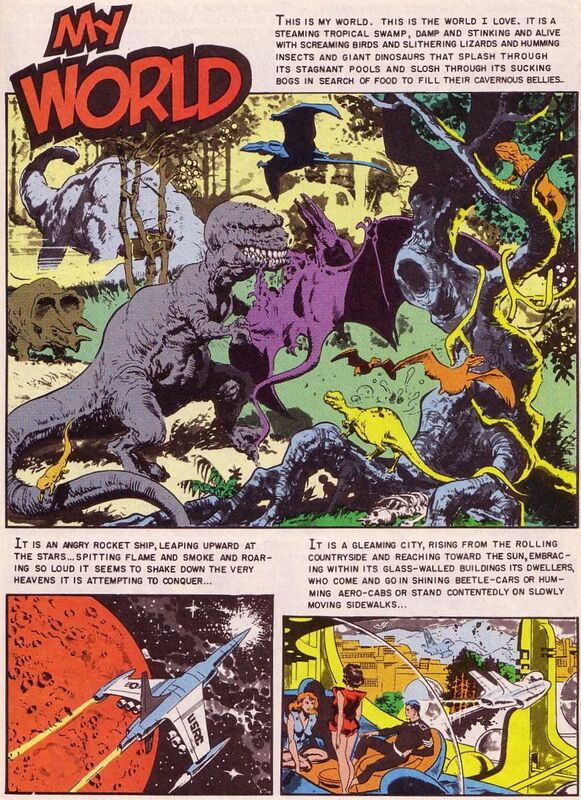 EC Comics & Ray Bradbury: The Million Year Picnic! 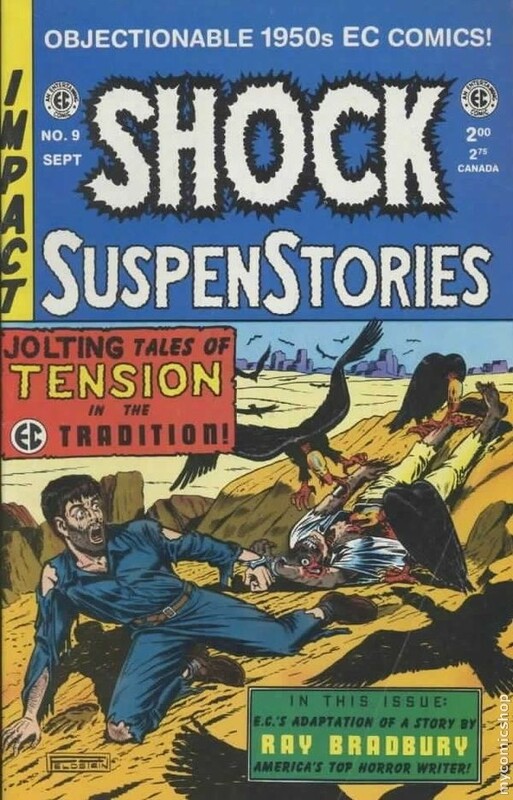 EC Comics & Ray Bradbury: The Silent Towns! 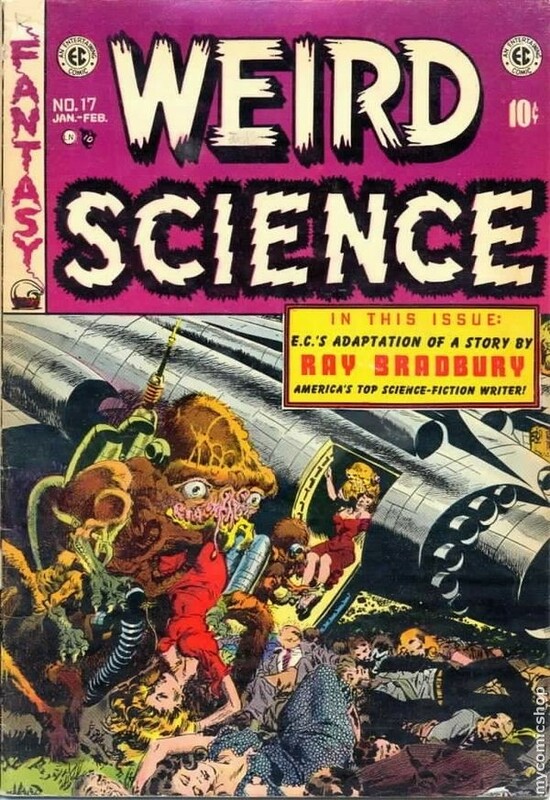 EC Comics & Ray Bradbury: There Will Come Soft Rains! 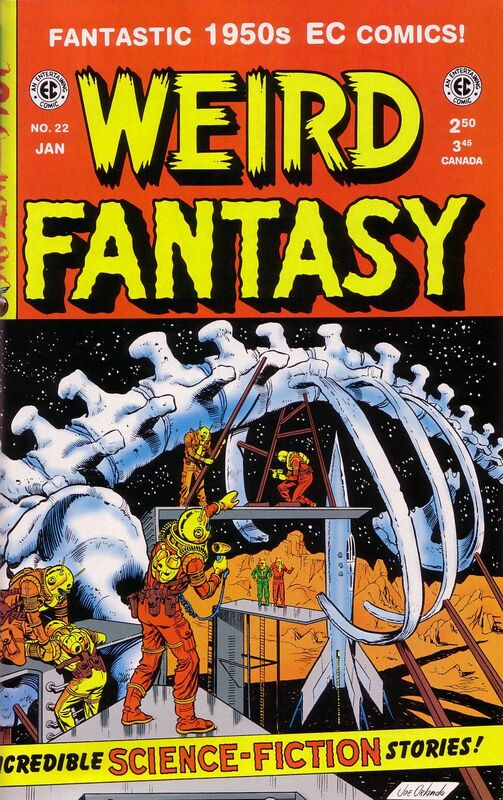 EC Comics featured many stories by Ray Bradbury, and we’d like to share them with you. We discovered Ray Bradbury back in the sixth grade and subsequently read almost everything he ever wrote. 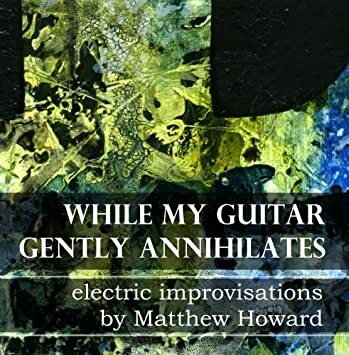 So, while these stories weren’t new to us when we found them in EC reprints, we enjoyed the heck out of them. We hope you do, too. 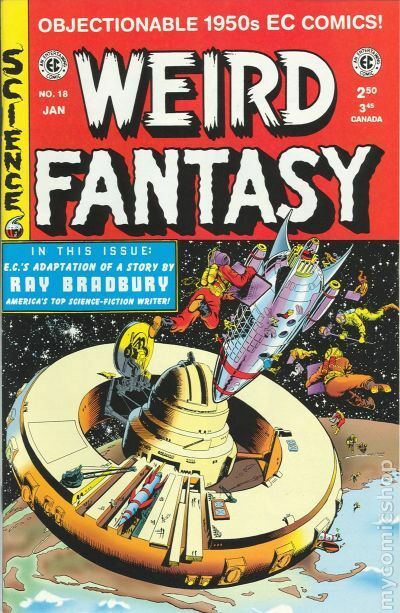 Below today’s gallery, you will find a list of Ray Bradbury stories and the EC Comics issues where they appeared. We believe we’ve compiled a definitive guide. If you have additions or corrections, we would love to hear from you. 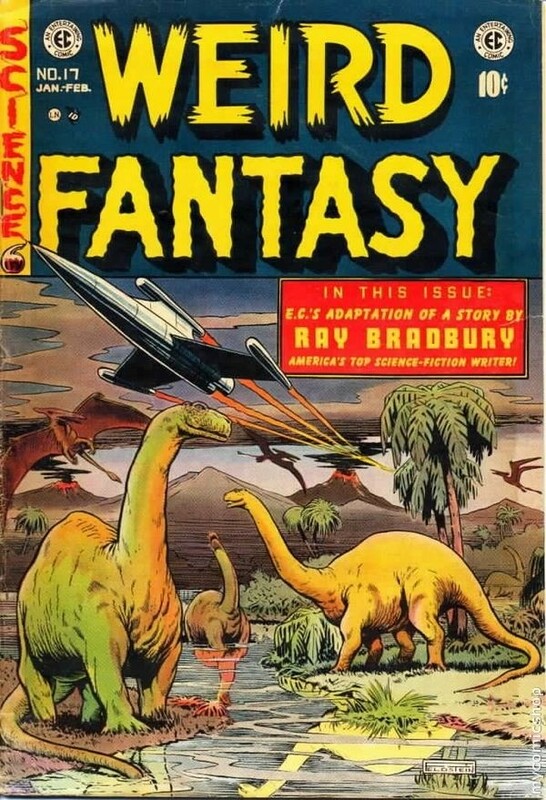 EC Comics & Ray Bradbury: The Long Years! 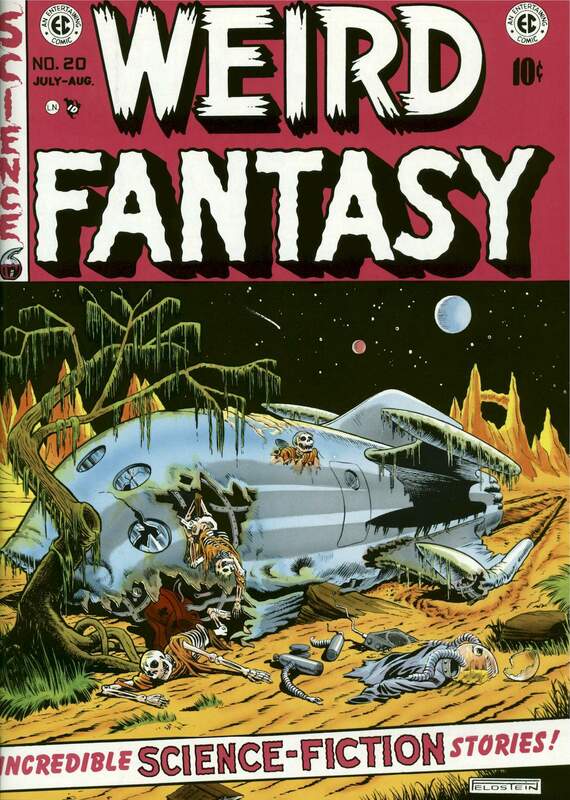 EC Comics & Ray Bradbury: Mars is Heaven! 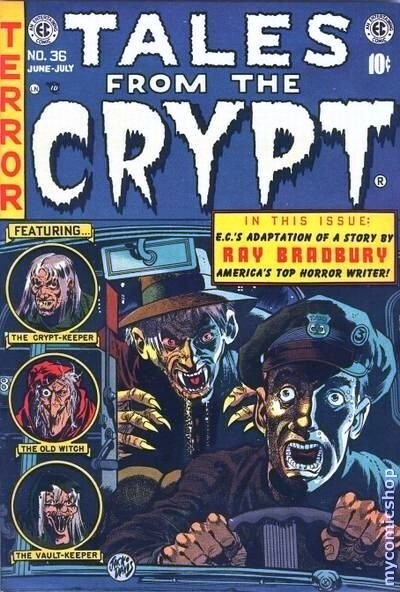 EC Comics & Ray Bradbury: The One Who Waits! EC Comics & Ray Bradbury: I, Rocket! 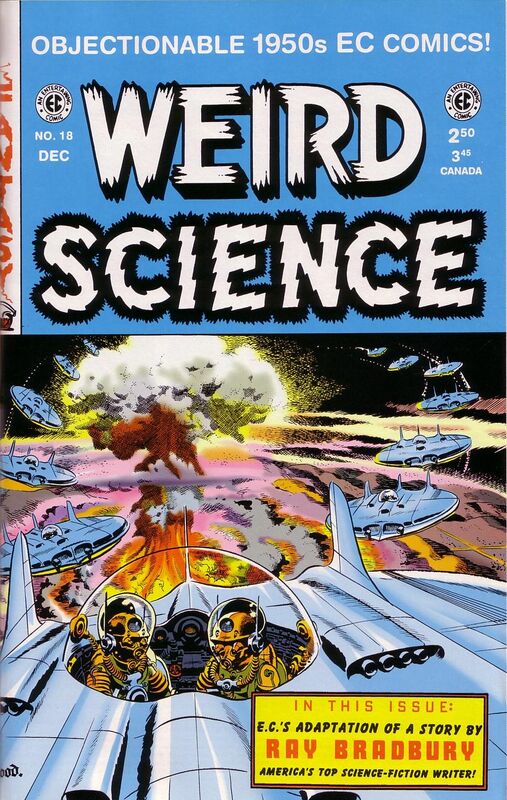 EC Comics & Ray Bradbury: Zero Hour!